Television remains a popular industry at MS4 in that is encourages students and teachers to study contemporary texts as a result of availability and immediacy and use archives such as 4OD, BBC iPlayer and ITV Player. 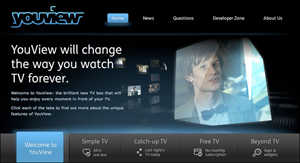 Good combinations include one American programme regularly broadcast on British television, one high production value, mainstream British text and one with a more selective, niche target audience – House, Britain’s Got Talent and Charlie Brooker’s Black Mirror work well as do CSI, Downton Abbey and Miami Ink. Genres such as Reality Television and Crime Drama allow students to develop an understanding of text and context but also within a framework of a broad range of examples to illustrate key areas of study. As with every industry however, at MS4 an understanding of the medium and institutional factors needs to be taught before focussing on the three texts BUT, always focussing on the text. Within the confines of teaching nine (9) texts teaching the industry must be part of textual analysis. Questions on Regulation and New Technology for example are often approached after the role of Ofcom and the ASA has been explored before ultimately being applied to the case study texts as well as teaching Genre, Narrative, Representation, Audiences, Globalisation and Marketing. Understanding New Technology will always link well with teaching audiences and again can be applied to the text after an understanding of developments in this area is acknowledged. It must be stressed though that the emphasis, in terms of assessment is on the understanding of text, within the framework of industry so teaching areas like Genre, Narrative, Representation and Audiences remain crucial and need to be applied directly to the text.